The holidays are in full swing! 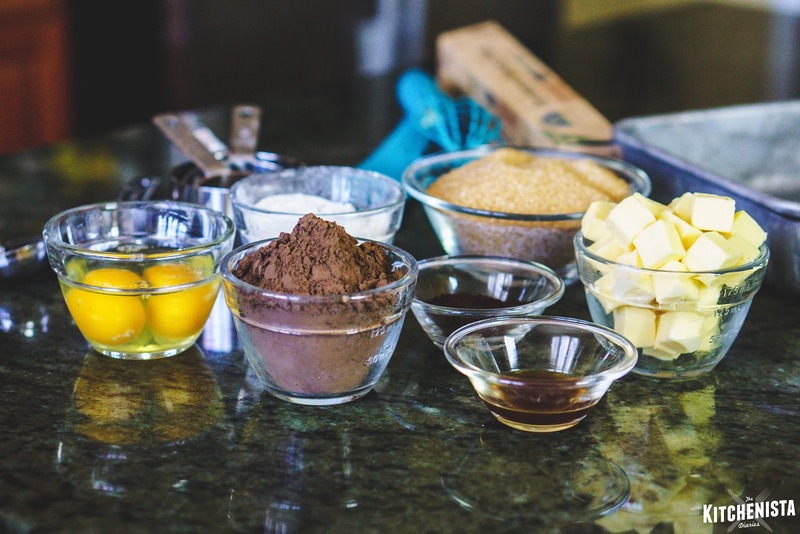 While I don't typically go crazy with baked goods, brownies are something I can't resist. 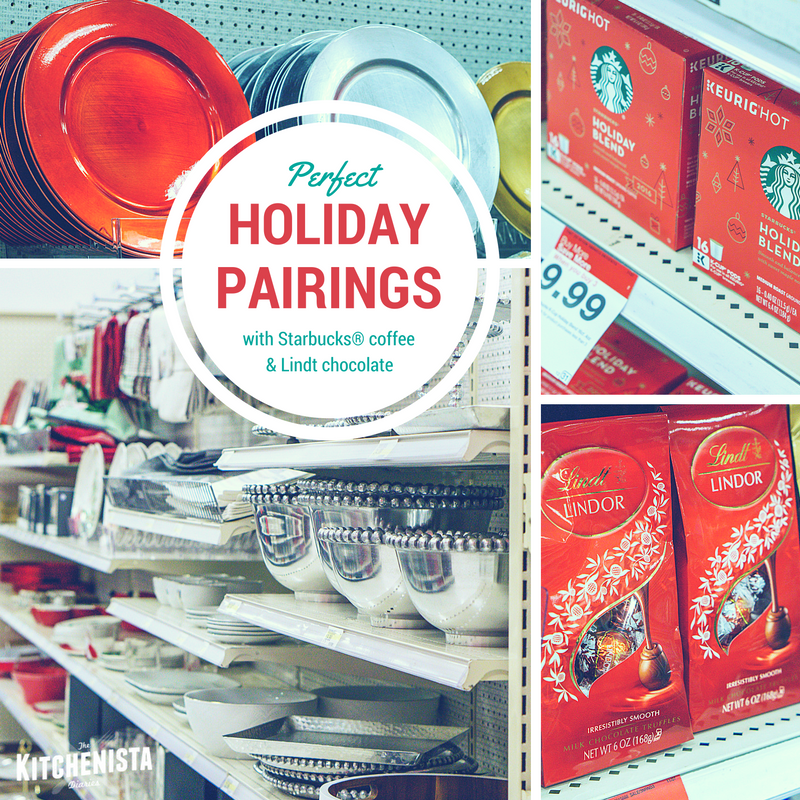 This season, I've partnered with Starbucks® coffee and Lindt chocolate, a perfect pairing that inspired a decadent holiday treat. My trip to Target this month gave me a ton of ideas for holiday cooking, decorating and gifts. 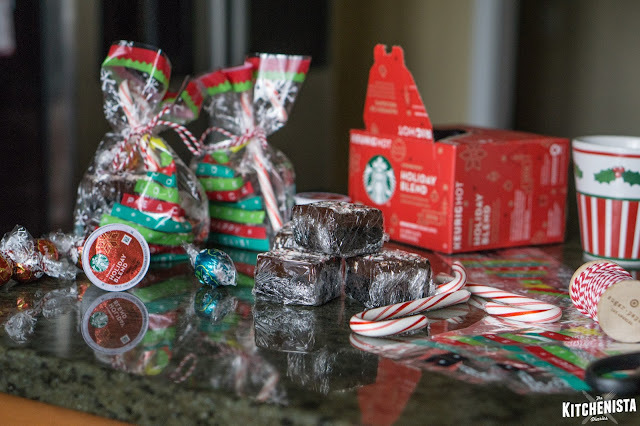 After picking up Starbucks' Holiday Blend and a few bags of Lindt LINDOR Milk Chocolate Truffles, my mind starting spinning with all the ways coffee and chocolate could inspire my holiday menus. 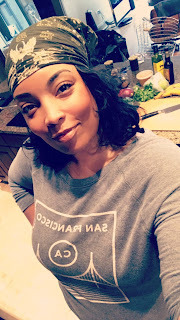 I cook with chocolate and coffee often - in savory applications - but I wanted to play with something sweet while I'm indulging this time of year. I've always enjoyed Alice Medrich's brownie recipe. It's made with all cocoa powder, so all the fat comes from melted butter, yielding a super rich and fudgy brownie. To up the ante, I browned the butter, used dark cocoa powder and added coffee to the batter, which brings out even more of the chocolate flavor. After the brownies baked and cooled, I melted chocolate to make a creamy layer of ganache that was poured over the top and allowed to set. My batch of brownies pictured was topped with crushed candy canes for Christmas. 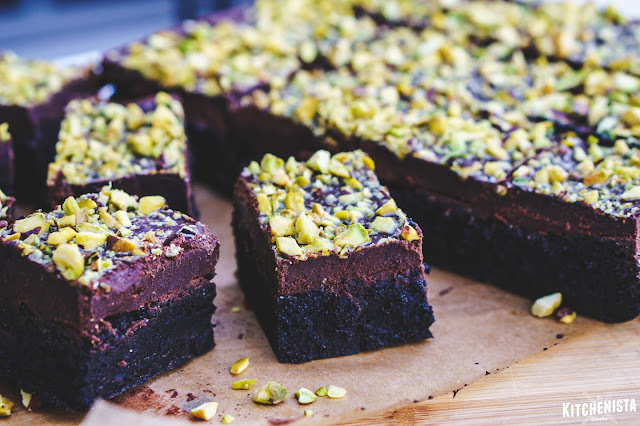 This will work with any other topping, my second favorite being crushed pistachios! 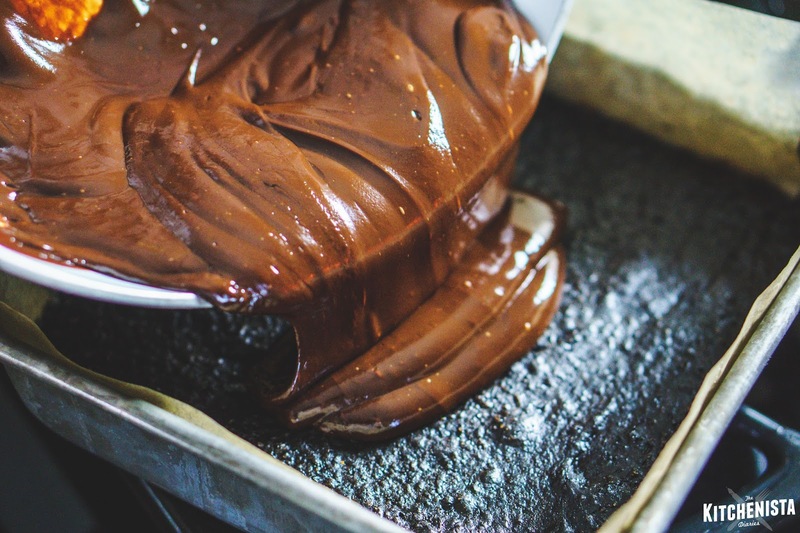 The end result is a moist, fudgy brownie bottom with a ganache layer that melts into your mouth like chocolate truffles. The sweet crunch of peppermint is a perfect finish! 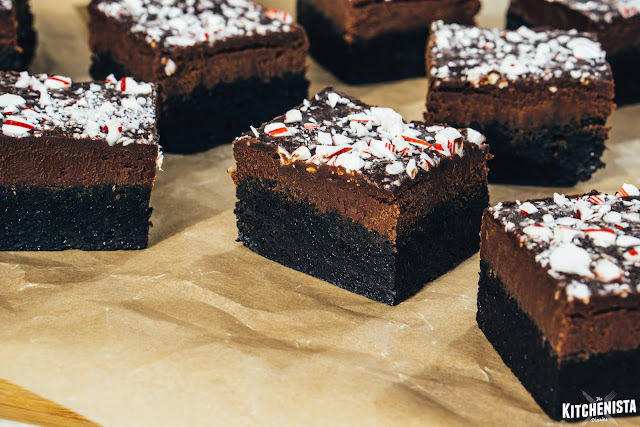 Another reason I love to make these brownies is because they're fancy enough to set out on a serving platter for a holiday gathering, but they are also easy to wrap up and give as gifts. I was able to find everything I needed at my trip to Target to make these cute gift bags filled with wrapped brownies, Lindt LINDOR truffles, a Starbucks K-Cup pod and a candy cane. It's always fun to give, but taking the time to bake and sit down with a cup of coffee to make gift bags also helped me get into the spirit! 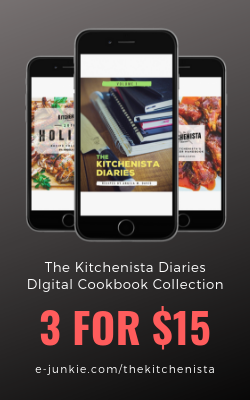 Read below for this amazing brownie recipe, and visit Target for great deals on Starbucks and Lindt products to make your holidays special! *I used Hershey's Special Dark cocoa powder, which is a Dutch-process cocoa blend, for a darker chocolate flavor. 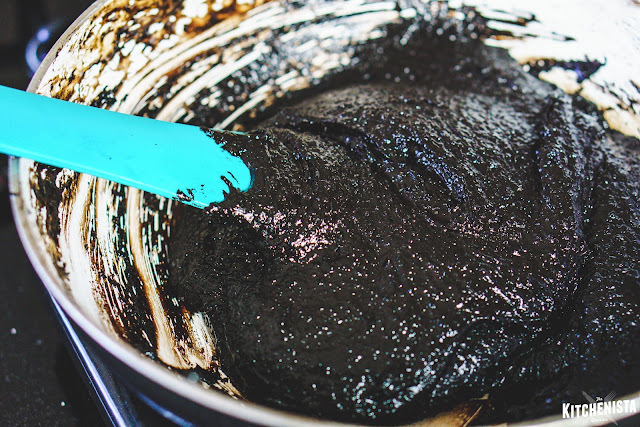 The original recipe used regular, natural cocoa powder. The recipe will work with either, however for natural cocoa powder you can reduce measurements to 1 1/4 cups sugar and 2 eggs. 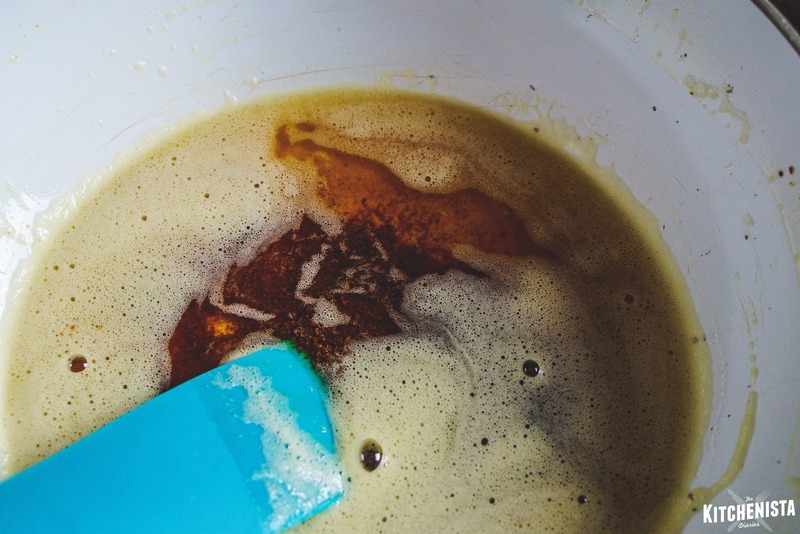 To prepare the pan, grease it lightly with oil. 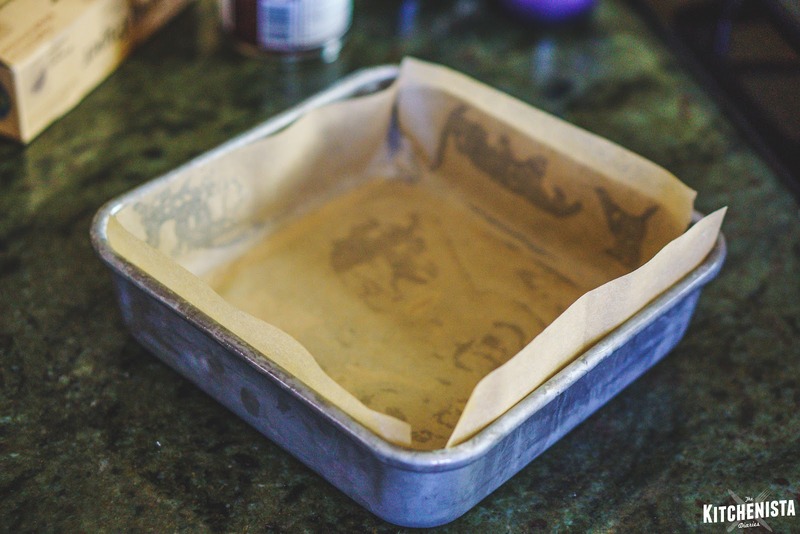 Cut two pieces of parchment paper to fit the width of the cake pan, leaving a slight overhang. Rub a very thin layer of oil over the top of the parchment paper too, using a paper towel is helpful. In a large, nonstick pot melt the 10 tablespoons of butter over medium low heat. Continue cooking the butter until it stops foaming and turns a deep golden brown, about 10 minutes. Use your spatula to scrape the sides and bottom of the pan frequently. If necessary, turn down the heat to low so as not to let the butter burn. It should smell nutty. If you don't have a light colored pan, transfer a spoonful of butter to a white plate to check for how brown it's getting. Once the butter has browned, turn off the heat and remove the pan from the burner. 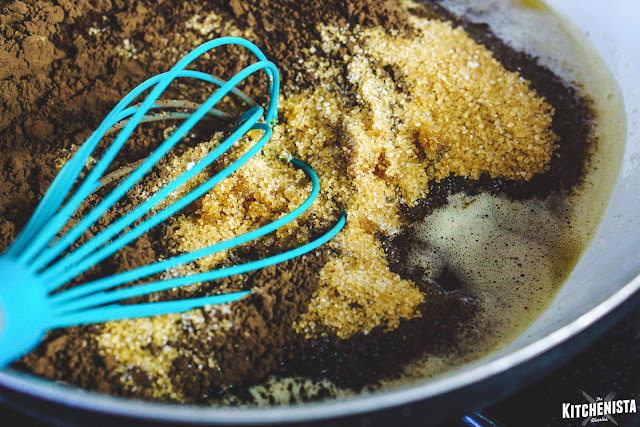 Whisk in the sugar, cocoa powder, coffee and salt. Whisk in the vanilla, then the eggs - one at a time. The mixture will become less grainy as each egg is added. Add the flour and whisk a few time just until incorporated. I find it easier to switch to a spatula at this point because the batter is so thick. Per the original recipe, 40 strokes is just enough to mix the flour. Overmixing could result in tough brownies, which you don't want. I love the color, which is due to the Dutch-processed cocoa powder blend. If you're using all natural cocoa it won't be so dark. Spread the batter into the parchment lined pan and smooth it out over the top. Pick the pan up and tap it on the counter a couple times to settle any bubbles. 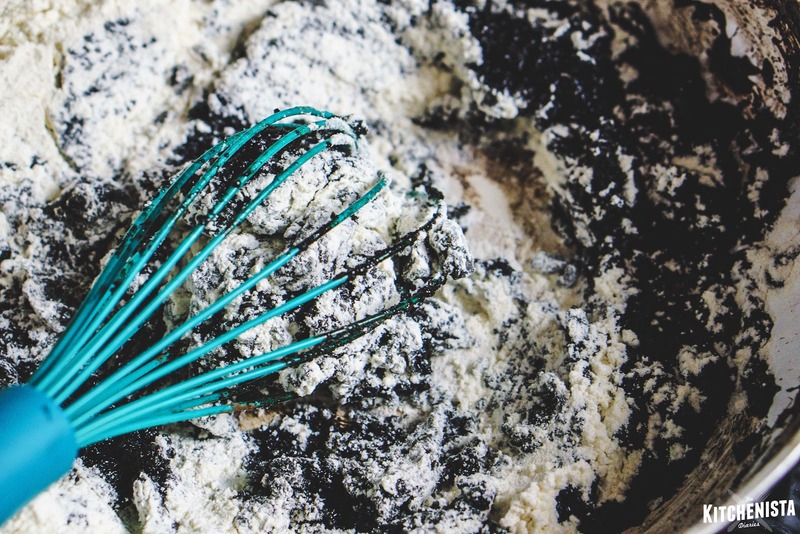 Bake at 325°F on a rack arranged in the lower third of your oven, for 25 minutes or until a toothpick inserted in the center comes back out slightly moist with batter. Let the brownies cool completely in the pan; they can be transferred to the fridge to speed up the cooling. Once the brownies are cool, prepare the ganache. Clean out the same nonstick pot you used earlier, making sure it's completely dry. 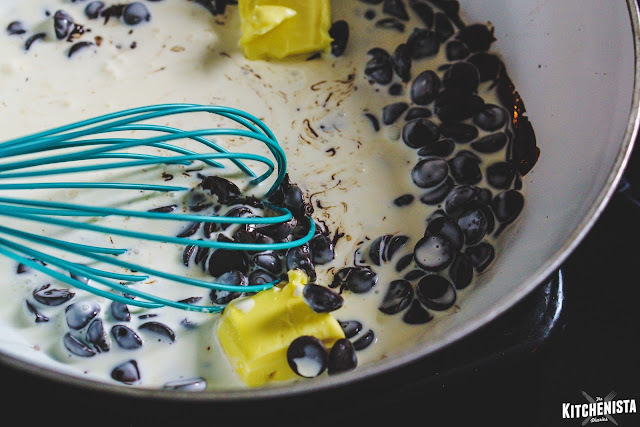 Add the chocolate chips, cream and butter over medium low heat, stirring as the chocolate melts. 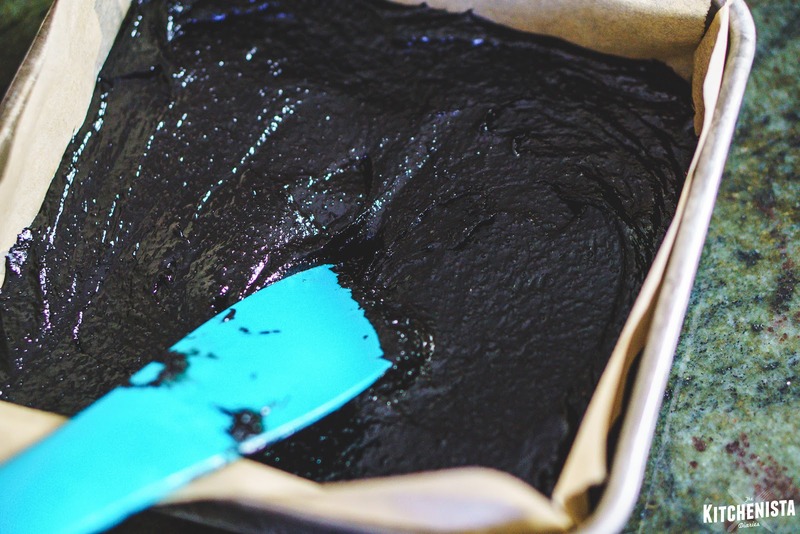 Once the ganache is completely smooth, pour it over the cooled brownies. 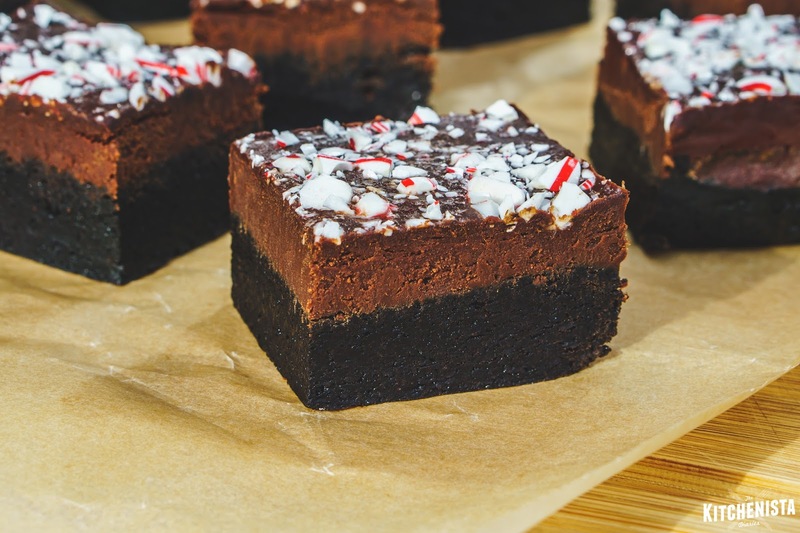 While the ganache is still wet, sprinkle the top with crushed candy canes or another crunchy topping of your choice. If you'd like to leave them plain, that's fine too - I'd maybe add a sprinkle of good quality sea salt though. 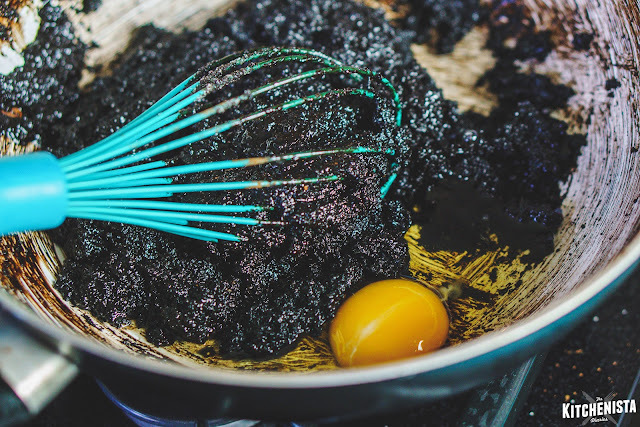 Transfer the brownies to the fridge and allow to cool completely until the ganache is solid, about two hours or overnight. Lift up the parchment paper to remove the brownies and transfer to a cutting board. Use a very sharp knife to slice into 16 or 25 squares. Because these are so rich, the smaller size actually works really well if you're serving them for a party or gathering. 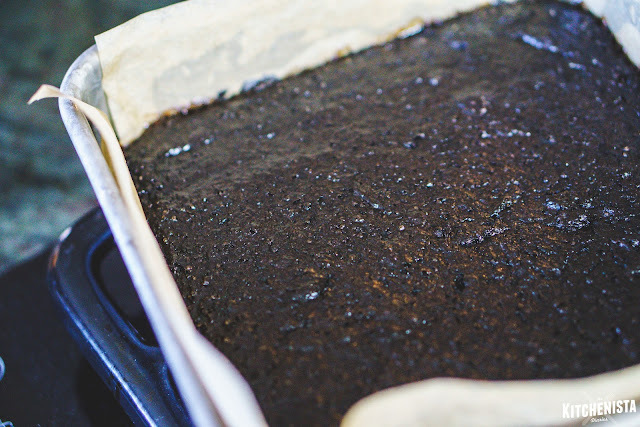 The brownies are best stored refrigerated and covered, will stay fresh about five days. If you'd like to keep them around longer, wrap the chilled brownies individually in plastic wrap, then place in a freezer safe bag and store in the freezer. 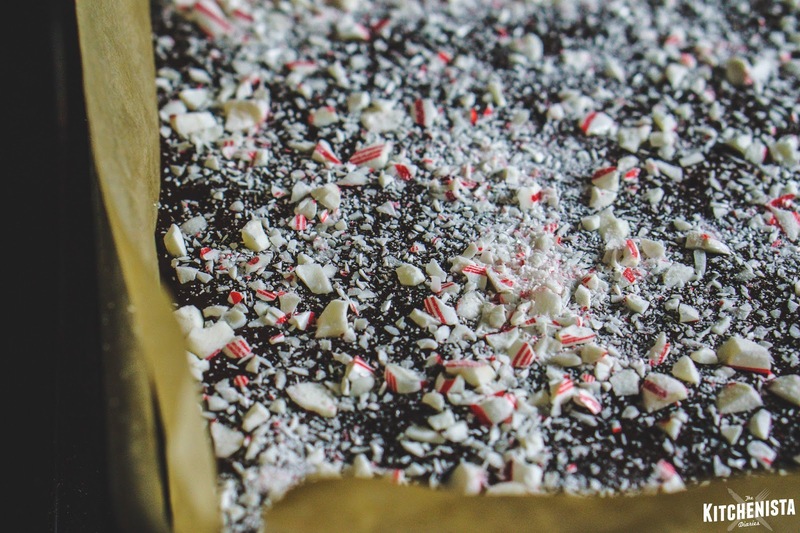 The peppermint topping works best for brownies that will be eaten within a day or two as the candy will melt into the ganache a bit as it sits - not a bad thing, just keep in mind. Nuts are the better choice if you need them to look pretty for more than a few days. From November 27 – December 24, Lindt LINDOR Truffles are offered at 2 for $8. Can't wait to make this for my family's Christmas dinner!